The Fall Classic is the culmination of the baseball season and passionate fans across America relish every moment of these final games. 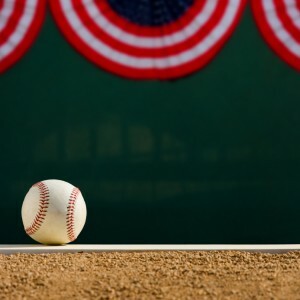 Learn about the long, rich history of baseball’s championship matches with these 10 fun facts about the World Series. Prior to the first World Series in 1903 and from 1884-1890, an Exhibition Series occurred between the champions of the National League and the American Association (a rival association that folded in 1891). The event was disorganized and thrown together by the teams themselves. Sometimes the Series lasted three games and others as many as 15. When the American Association dissolved, the National League continued as the only league. In the late 1800s, the National League allowed some teams from the then terminated American Association to join, and in 1900 it gained a new adversary when the American League began. There was a lot of feuding among players and fans. In 1903, the two sides met for the first official World Series between the National League’s Pittsburgh Pirates and the American League’s Boston Americans. The Americans won the Series 5 games to 3, which legitimized the American League. If the Pirates won, the younger organization may have collapsed and Major League Baseball (MLB) as we know it today may not have existed. Yankees’ pitcher Don Larsen recorded the only no-hitter (in this case a perfect game) in World Series history during Game 5 of the 1956 Series. With 33 consecutive scoreless innings pitched, Whitey Ford holds the World Series record. Previously, the record holder was Babe Ruth, who pitched 29 2/3. The player’s strike in 1994 cancelled that year’s Fall Classic, while a rivalry between the Boston Pilgrims and the New York Giants ended the 1904 Series. During WWII, the Series continued, however many of the best players fought overseas and were missing from the games. In 1943, the New York Yankees won the Series without Hall of Famers Joe DiMaggio, Phil Rizzuto, and Red Ruffing. Yogi Berra hit the first pinch-hit home run in World Series history in Game 3 of the 1947 World Series against the Dodgers’ pitcher, Ralph Branca. The Yankees lost the game, but won the Series in seven games. Former Yankee managers, Joe McCarthy and Casey Stengel, set the record with each winning seven World Series games during their managerial careers. In 2003, it was decided that the winning team of the MLB All-Star Game would determine which league would have home-field advantage in the World Series. This change was intended to add strategy to the exhibition game. Super-fast Lou Brock from the Cardinals set the single-season record with seven stolen bases in the 1967 World Series and in 1968 he tied it. He also shares with Eddie Collins the largest number of career stolen bases in the World Series, 14. Since 1967, the winner of the World Series has received the Commissioner’s Trophy and traditionally each winning team has presented its members with championship rings. Previously, players were given pocket watches or medallions. In 1922, the New York Giants became the first team to issue rings. As the season closes, excitement mounts, and the teams that advance are determined, keep these World Series facts in mind as you enjoy watching this year’s final chapters of America’s beloved sport. Visit the MLB.com website to learn more about the results of all previous games in the World Series.